Sydney Terror Plot: how would the police know if a Muselmaniac is an I.S. operative? Police who arrested two brothers over an alleged Sydney terror plot had no idea that one of the men was in contact with an Islamic State operative in Syria until he told them so in an interview, a court has been told. 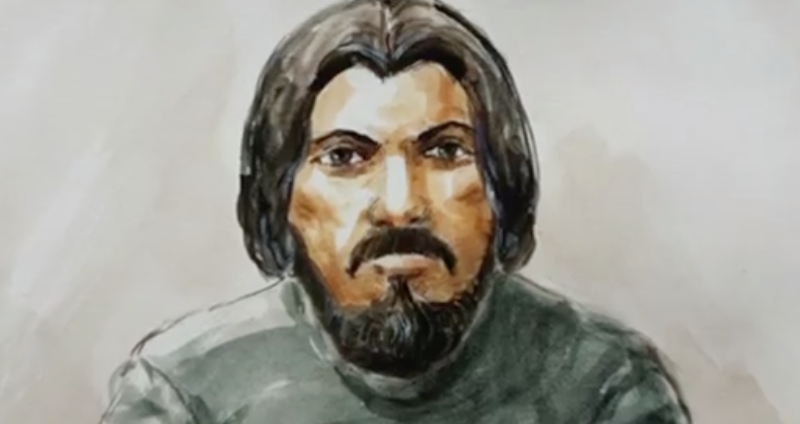 Khaled Mahmoud Khayat, 51, and his brother Mahmoud Khayat, 34, are on trial in the NSW Supreme Court after both pleaded not guilty to a charge of conspiring to do an act in preparation/planning for a terrorist act. It is alleged the pair plotted from January 20, 2017, until their arrest on July 29, 2017, to plant a bomb on an international flight at Sydney Airport and then separately to disperse a lethal gas. On Friday, a NSW Police detective who interviewed Khaled Khayat in 2017 was cross-examined by Mr Khayat’s barrister Richard Pontello about the extensive interview. The “Sydney man” found guilty of plotting to carry out beheadings in Australia will spend at least the next nine years behind bars. Omarjan Azari was in regular contact with a notorious Islamic State commander with recorded phone calls between pair leading to his downfall. Detective Peter Kazzi, from the joint counter terrorism team, agreed Khaled Khayat volunteered “a lot of information” over three days, including the existence of the lethal gas plot, which officers had previously been unaware of. Mr Khayat also said during the police interview that he was in contact with another brother, described as a “senior member with Islamic State”, who sent him instructions from Syria. “At the time of his arrest you weren’t even sure that Khaled Khayat had even been in contact with an ISIS operative in Syria,” Mr Pontello said. “So is it fair to say … the accused Khaled Khayat was a very, if not extremely, valuable source of information?” Mr Pontello said. “He was a source, yes,” Mr Kazzi said. Under questioning, Mr Kazzi rejected any suggestion that he told Khaled Khayat he should not bother speaking to a solicitor, because he would not be charged and would be released in seven days. He also denied taking three discs out of a police interview machine and snapping them in half. Mr Pontello suggested Mr Kazzi said: “Don’t waste your money on solicitors, you’re going home, I promise you, you’re not going to be charged”. On Friday afternoon the jury was played a police interview with Mahmoud Khayat, filmed the day of his arrest. Wearing a disposable white forensic suit after his clothing was seized to test for explosives, he said he was “surprised” to be arrested for a terrorism-related charge. “I’m not that type of person,” Mahmoud Khayat said. He later added that, in his opinion, people shouldn’t “come to other countries and start to make problems and trouble”. Mr Khayat said he went to the airport with two of his brothers, to drop one off for an international flight, but said he stayed in the car so they wouldn’t have to pay for parking. He said his brothers went inside for five minutes, then Khaled came out with a Toys ‘R’ Us bag and some clothing that had been unpacked from the other brother’s baggage. “He said ‘that’s overweight, they won’t let him take them’,” Mahmoud Khayat said. Police allege the package removed from the bag for being too heavy was a bomb, which had been placed inside a meat mincer with the intention of putting it on an Etihad flight.